Η Citroen παρουσίασε το C1 το 2005 και το 2008 είχε παρουσιάσει την facelift έκδοση σου. Σήμερα, τρία και κάτι χρόνια μετά, παρουσιάζει για δεύτερη φορά την ανανεωμένη έκδοση του C1 το οποίο διαθέτει πλέον πιο τολμηρή εμφάνιση, καλύτερο εξοπλισμό και πιο αποδοτικούς κινητήρες. Στιλιστικά φορά νέο μπροστά μέρος το οποίο είναι επηρεασμένο από τα DS3 και C4 Aircross. Συναντάμε νέο μπροστά προφυλακτήρα, LED φώτα ημέρας, προβολείς ομίχλης, μικρότερο καπό και νέες ζάντες 14″. Στο εσωτερικό οι αλλαγές είναι περιορισμένες και εντοπίζονται στο νέο δερμάτινο τιμόνι στα μοντέλα με το EGS κιβώτιο, ενώ στα μοντέλα με το χειροκίνητο υπάρχει δερμάτινος επιλογέας ταχυτήτων. Τέλος υπάρχει ένα νέο ηχοσύστημα με σύνδεση Bluetooth αλλά και με θύρα USB. Μηχανικά το C1 φορά έναν 1.000αρη τρικύλινδρο βενζινοκινητήρα απόδοσης 68 ίππων ο οποίος συνδυάζεται με ένα χειροκίνητο κιβώτιο ταχυτήτων και έχει μέση κατανάλωση 4.3 λίτρα/100 χλμ με 99 γρ/χλμ εκπομπές CO2. Υπάρχει διαθέσιμο και το αυτόματο κιβώτιο EGS (Electronic Gearbox System) με paddles στο τιμόνι με την μέση κατανάλωση να ανέρχεται στα 4.5 λίτρα/100 χλμ ενώ οι εκπομπές CO2 αγγίζουν τα 104 γρ.χλμ. Ντεμπούτο θα κάνει στην έκθεση των Βρυξελλών στις 10 Ιανουαρίου με τις πωλήσεις του να ξεκινούν από τον Μάρτιο. 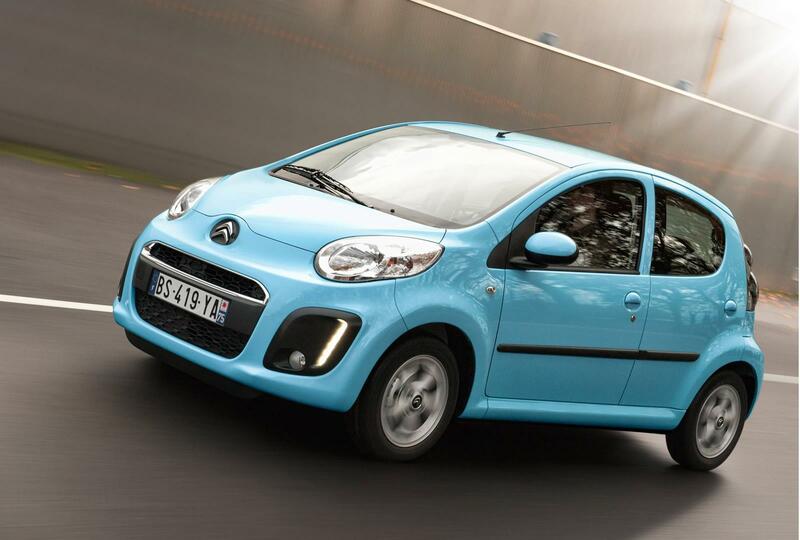 Citroën’s popular C1 has a sparkling new look and even greater buyer appeal for 2012. 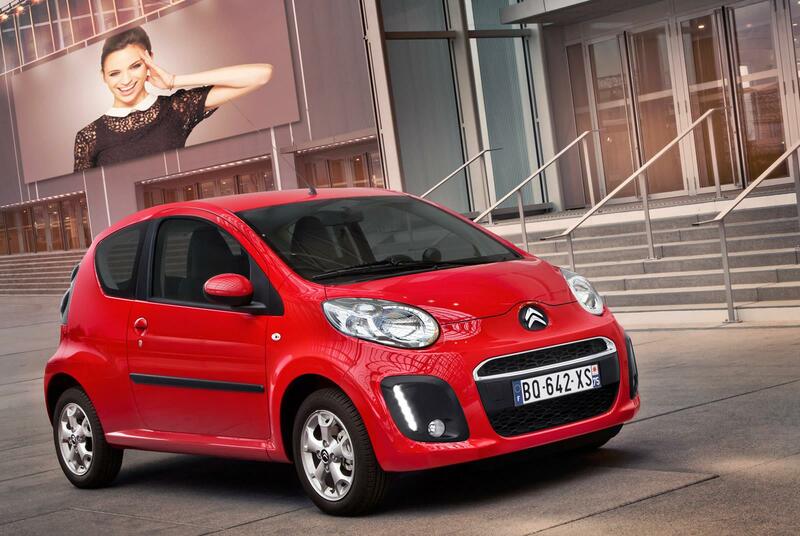 The brand’s entry-level city car has already attracted over 620,000 customers worldwide, with more than 80,000 sold in the UK since its launch in 2005. 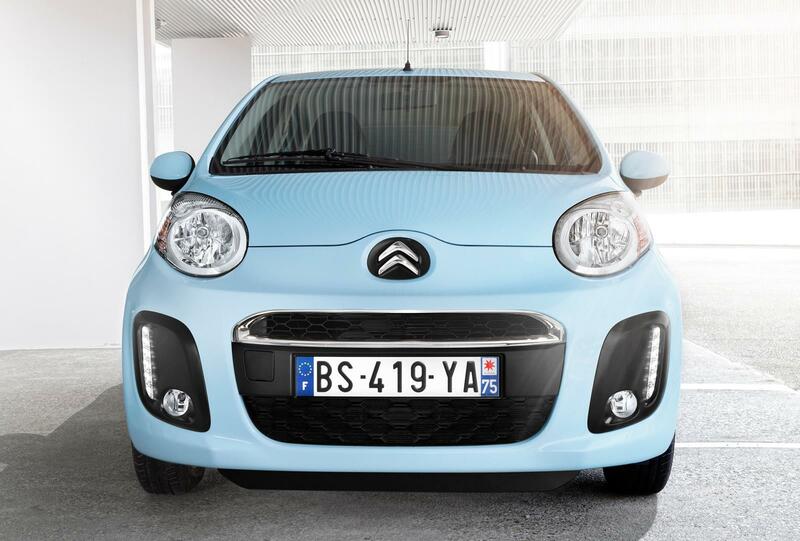 Now, with new styling, enhanced levels of equipment and a more frugal engine, the New C1 sets an even higher benchmark in the segment. 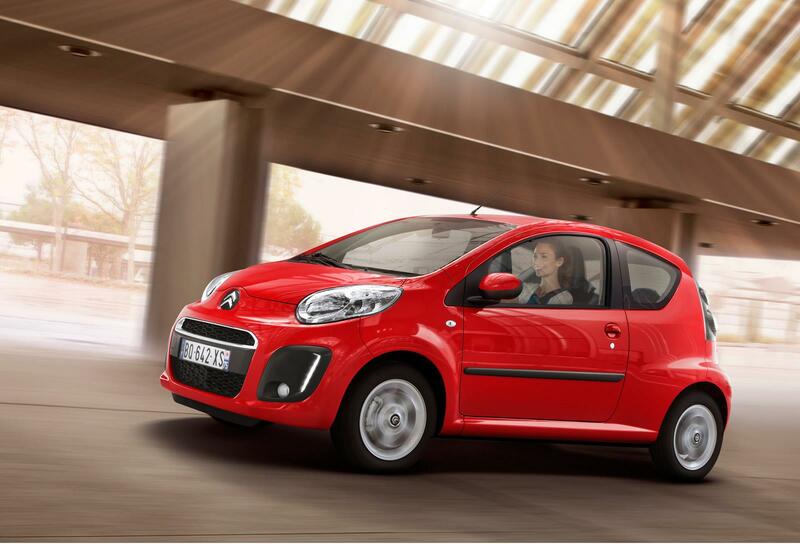 New features include CO2 emissions from just 99g/km, LED daytime running lights, a CD audio system with Citroën’s integrated Connecting Box (Bluetooth® system with USB socket) and an Electronic Gearbox System with steering-mounted paddles. 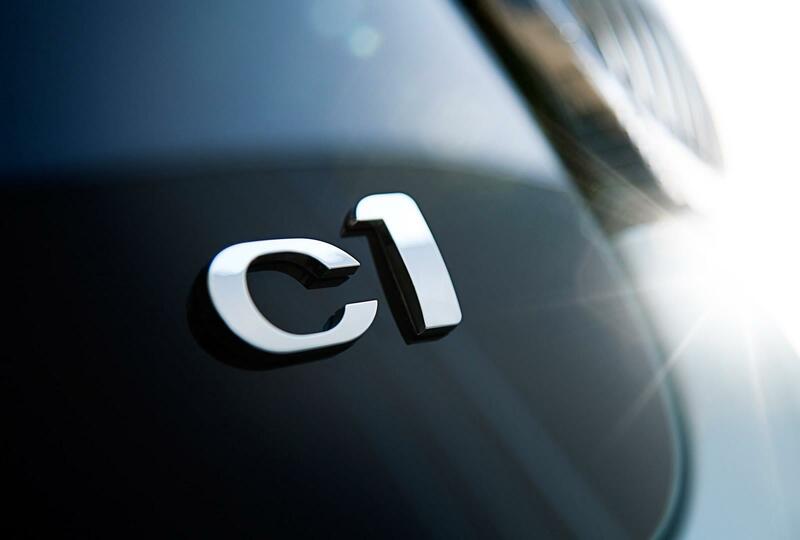 Making its world debut at the Brussels Motor Show on 10 January, the New C1 will be available in the UK from April 2012. 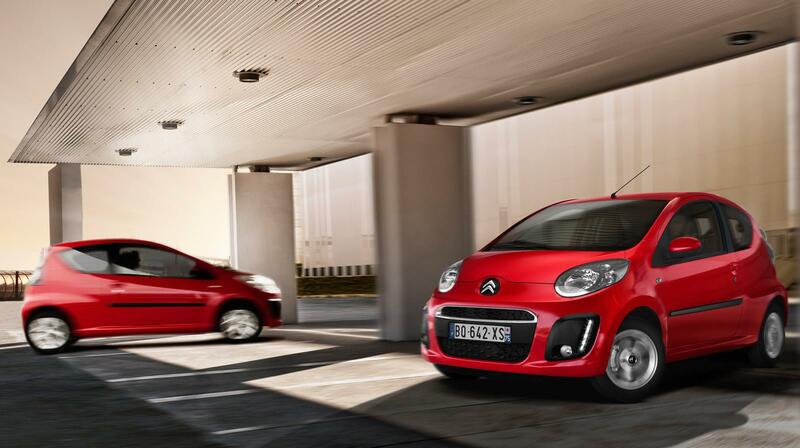 At just 3.44m long, the New C1 remains the most compactmodel in the Citroën range. 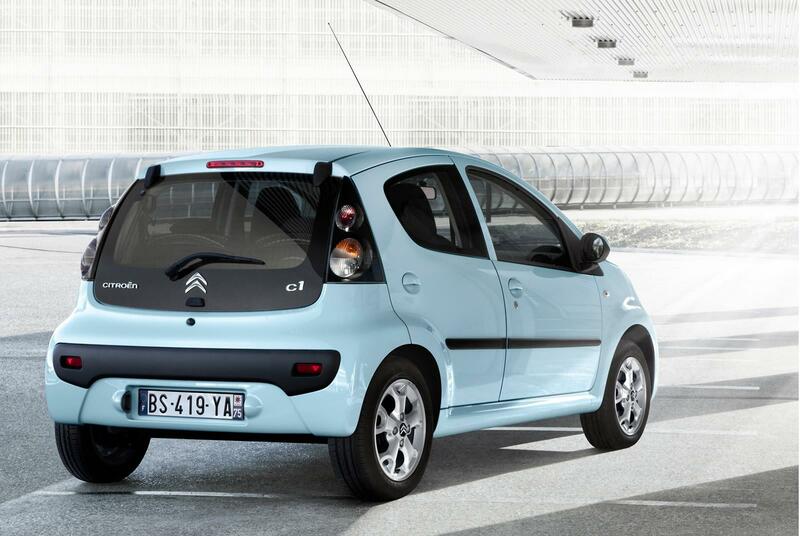 Available in both 3-door and 5-door guise from launch, the New C1 appeals as one of the most economical and ecological city cars on the market, but it still has the ability to transport four adults in comfort and boasts a plethora of storage compartments in the dashboard, central console and door panels. 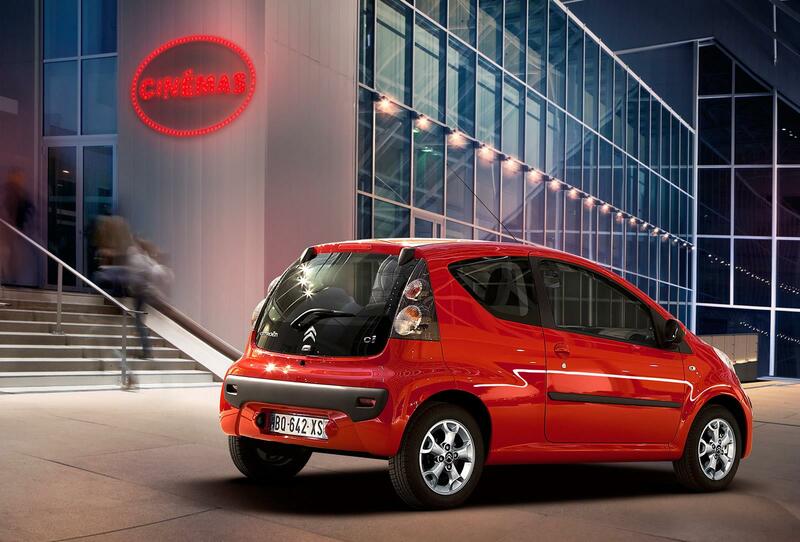 Boot volume can also be adjusted thanks to folding rear seats and ranges from 139 litres to over 700 litres. 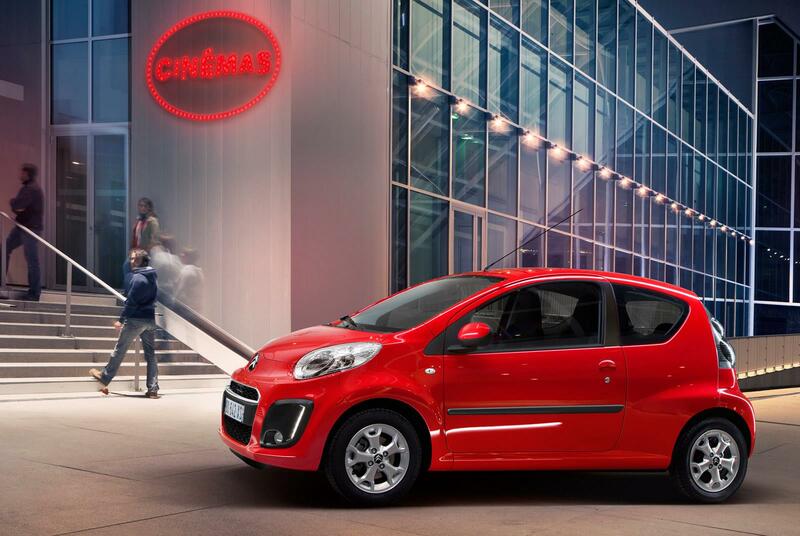 The New C1’s compact dimensions make it the ideal travelling companion, offering an agile and responsive ride, perfectly tailored for urban and city driving. 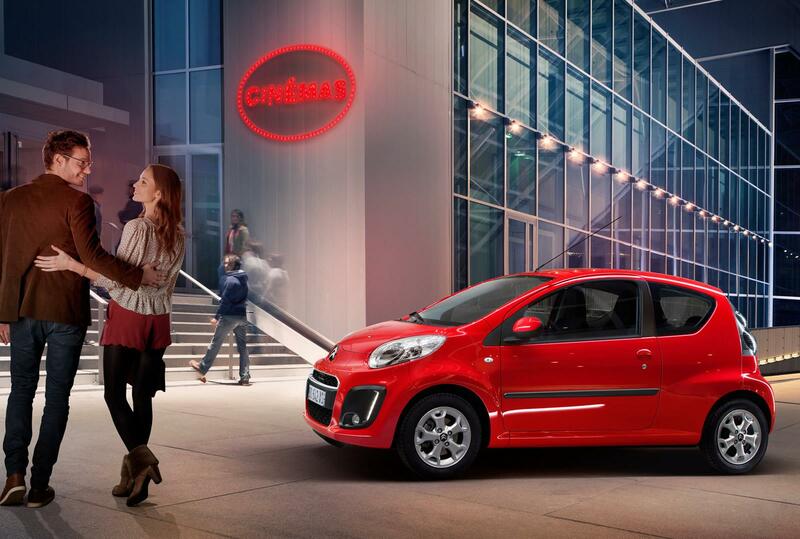 A turning circle of just 9.63 metres makes the New C1 incredibly easy to manoeuvre in city traffic. 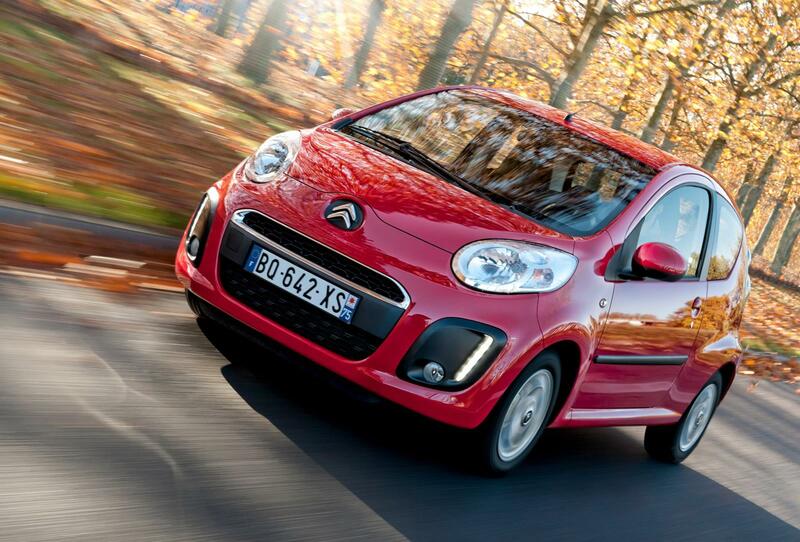 Agile and frugal, the New Citroën C1 is powered by a three-cylinder petrol engine developing 68hp. 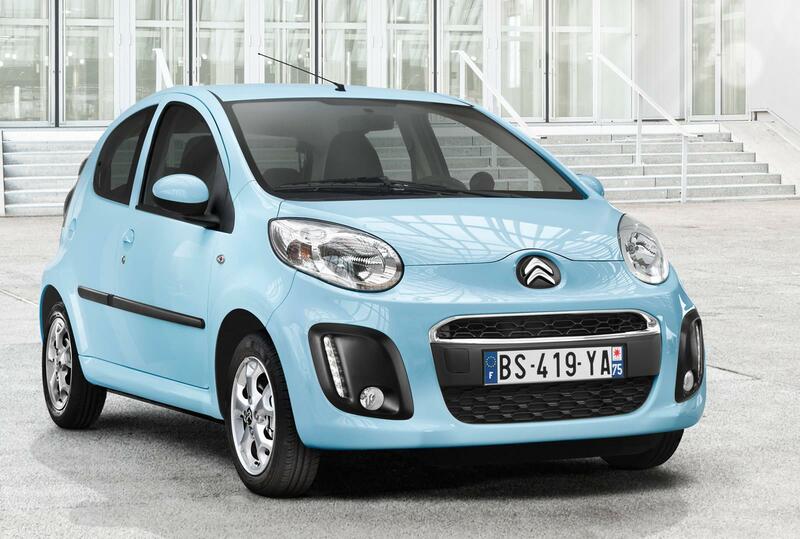 Equipped with a manual gearbox, the New Citroën C1 1.0i boasts improved fuel economy of up to 65.7mpg over a combined cycle. 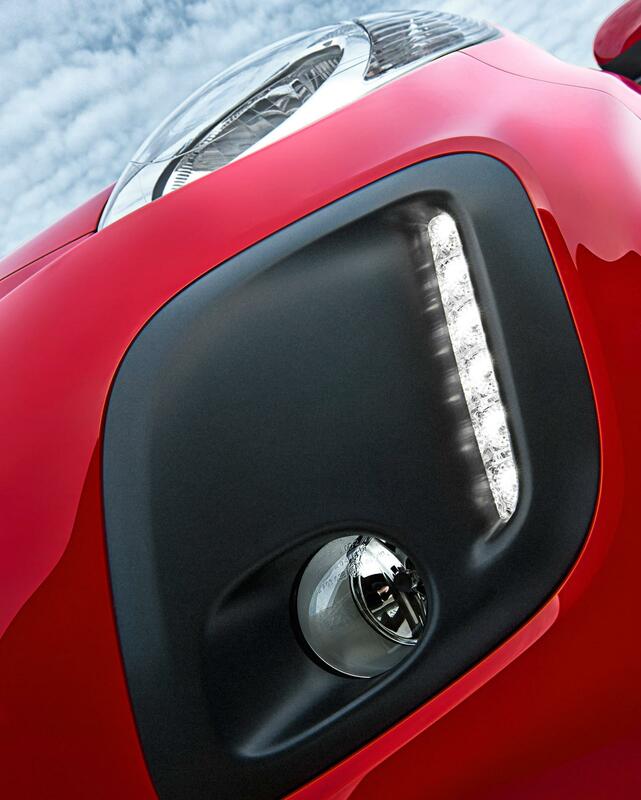 Emissions are also improved, to just 99g/km of CO2, making the New C1 congestion charge exempt. 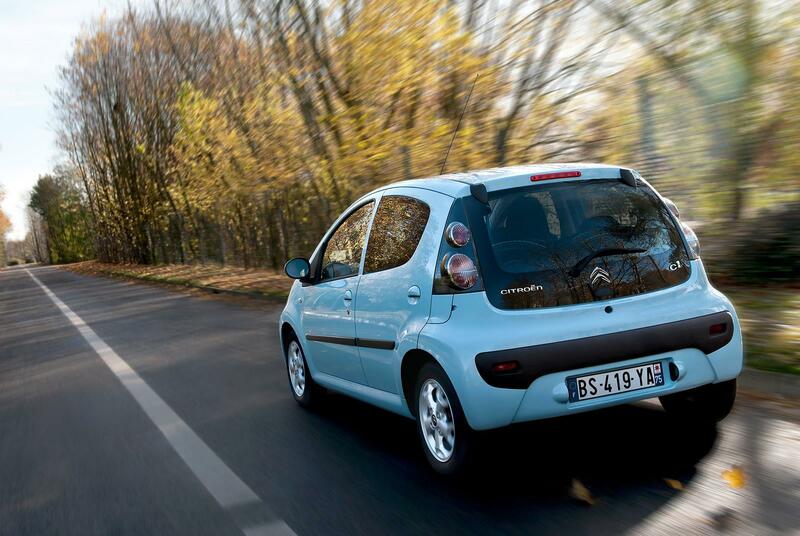 As well as being the first Citroën petrol model to emit less than 100g/km of CO2, the New C1 is also available with an Electronic Gearbox System complete with steering-mounted paddle controls for enhanced handling and driving pleasure. This EGS version delivers an impressive 62.8 mpg (combined) and emits only 104g/km of CO2. 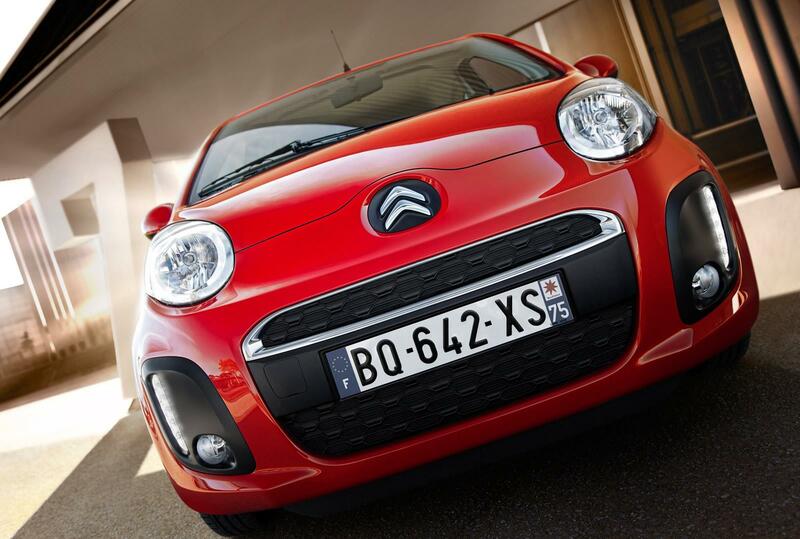 The New Citroën C1 gains even more appeal and personality through its new front end and shorter bonnet. The headlights keep their rounded shape, while the front bumper has been entirely redesigned to house fog lights and LED daytime running lights, which are still a rarity in the segment. 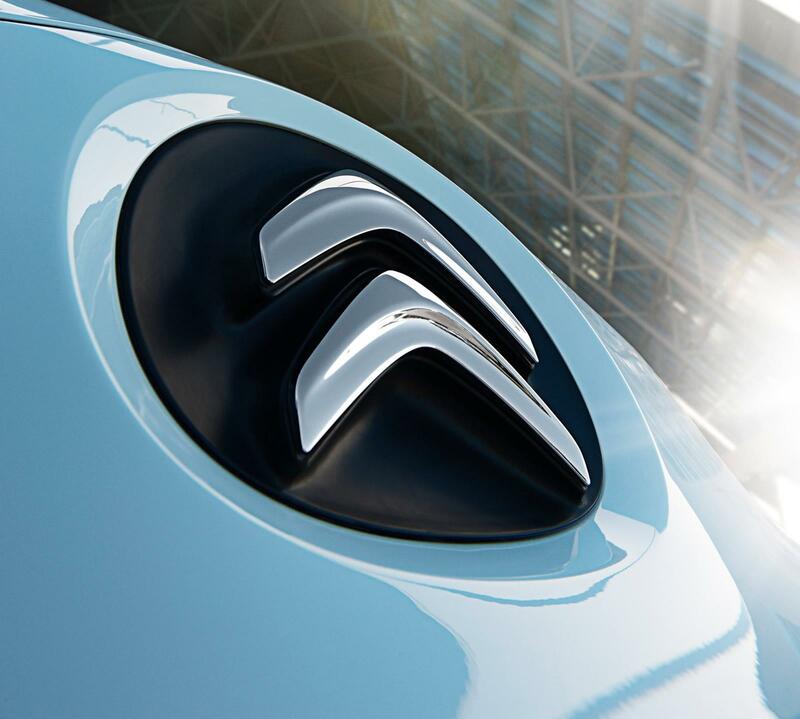 The vertical design LED light signature – which is specific to Citroën and can also be seen on DS3 and C4 AIRCROSS – strengthens the character of the new model. 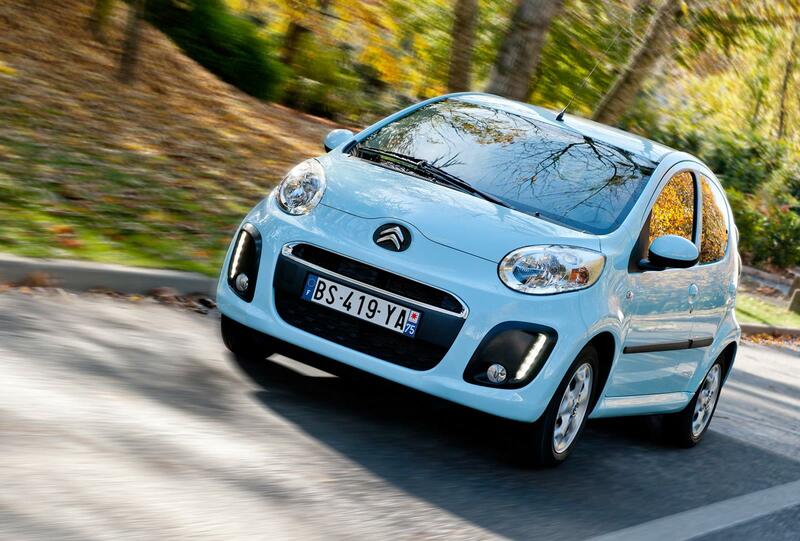 At the rear, New C1 retains its innovative glass tailgate and features the brand’s new chevrons and badging. 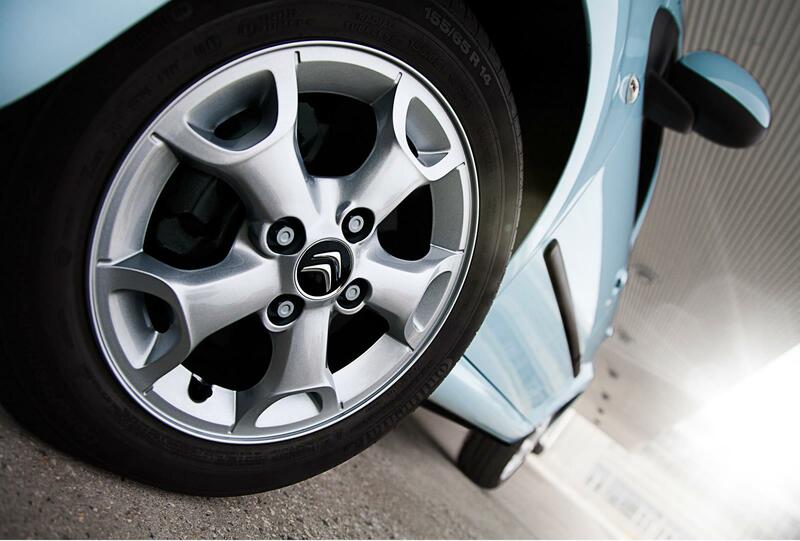 New C1 also gains new ‘Notus’ design 14” wheels and is available with ‘Rift’ 14” alloy wheels, as standard, on top of the range models. 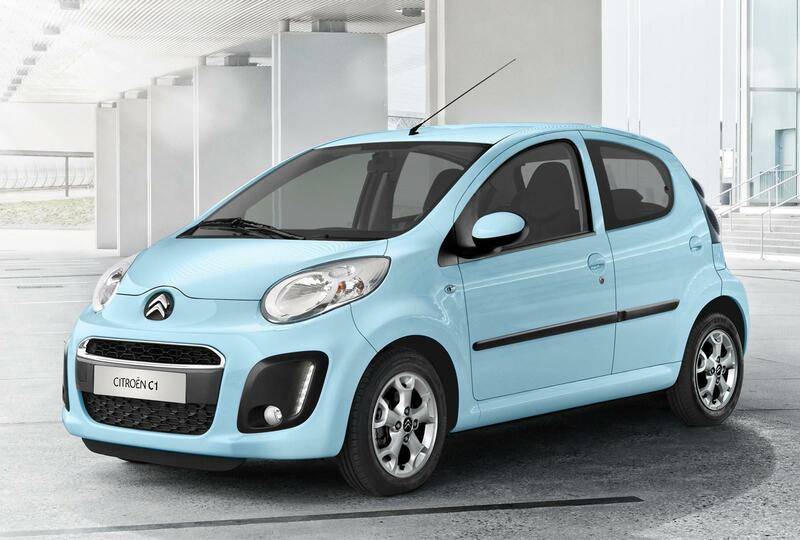 The playful New Citroën C1 comes in a special launch colour that already adorns the C3 and DS3: Botticelli blue, a fresh-looking body colour included in the 2012 catalogue. 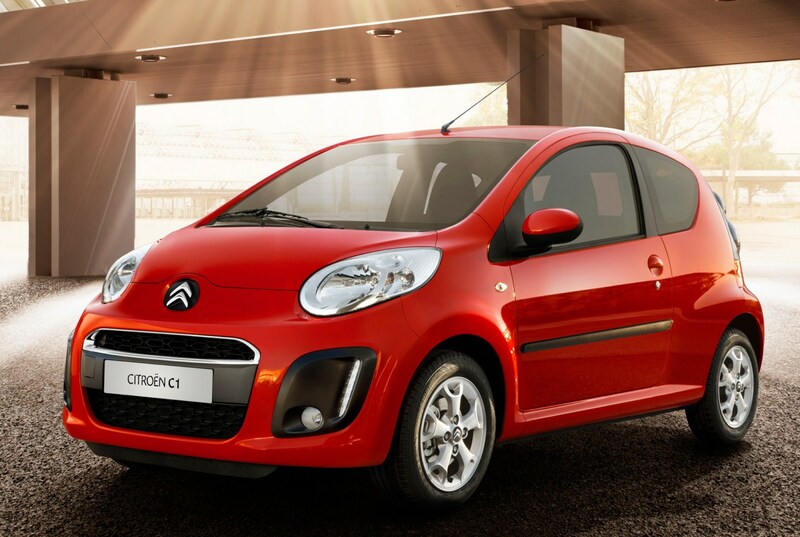 The range of body colours also includes Scarlet red, Electra blue, Lipizzan white, Caldera black and two grey tones – one light, Gallium grey, and one dark, Carlinite grey.Citroën has also finished the grille with a chrome strip available from the mid-range trim level. 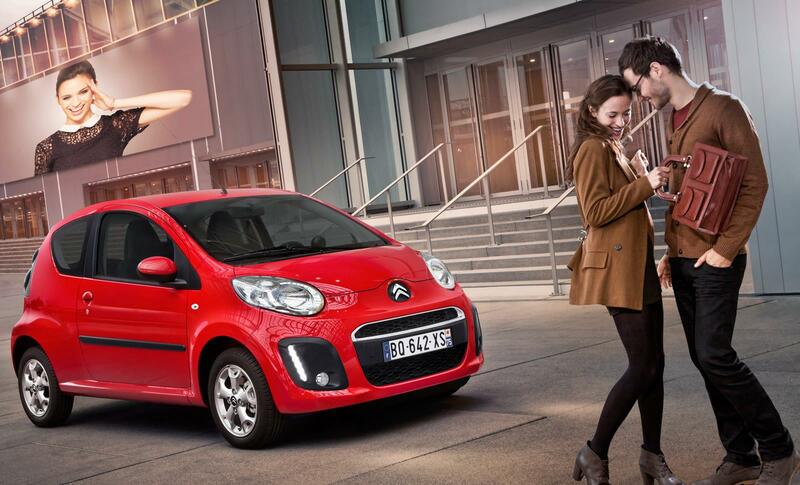 The New Citroën C1 is as attractive inside as it is from the exterior. The leather steering wheel for EGS models has been redesigned, while manual gearbox versions get a new-look gearstick. Most models are available with stylish new ‘Orsai’ upholstery and entry-level models come with Mistral ‘Nokimat’ cloth. A Leather/Alcantara® option is now available, adding a high-end touch to the New C1 interior. 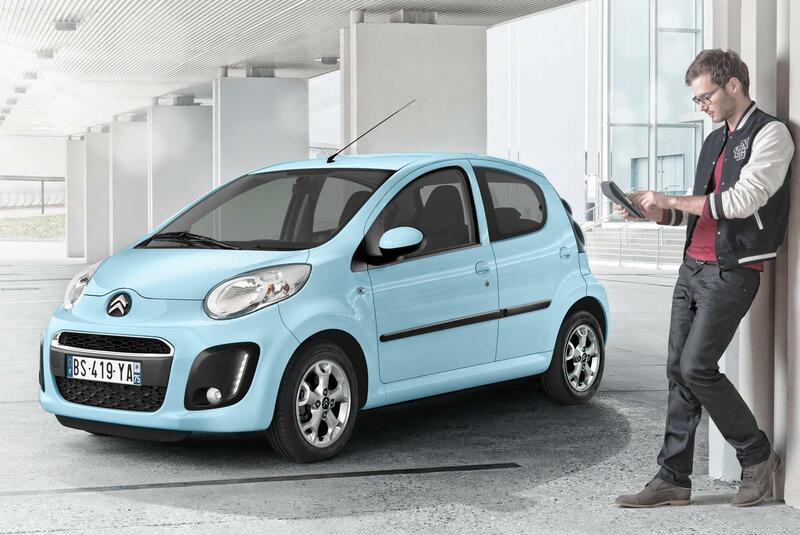 The New Citroën C1 comes with a range of ‘Créative Technologie’ features. Technological treats, just for the driver, include steering-mounted paddle controls for the Electronic Gearbox System – a first for the C1. For even greater travelling comfort, the radio offering has been enhanced by a new facia matching the styling of the dashboard. Featuring a time display, the all-new CD audio system comes with a Connecting Box (optional from the second trim level and standard on top of the range models), which is able to read all MP3 formats and is equipped with a Bluetooth® function. It is accompanied by USB and jack hook-ups at the base of the central console. 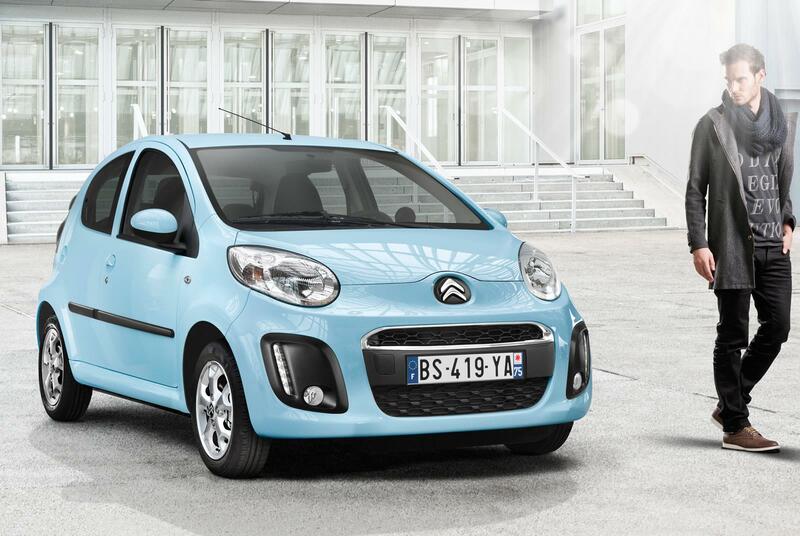 The New C1 is a versatile performer. Complementing its existing on-road abilities, the model features new power steering settings and shock absorbers for more agility and ride comfort at low speeds. The new model will be available with a range of technologies for safer urban driving, including ABS with Electronic Brakeforce Distribution, Isofix anchorage points and ESP. 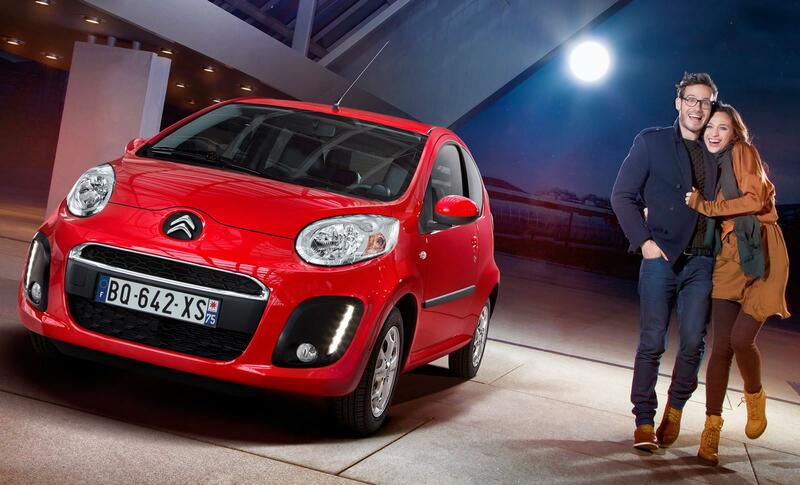 The New Citroën C1 will make its official debut at the Brussels Motor Show on Tuesday 10 January (Press Day). 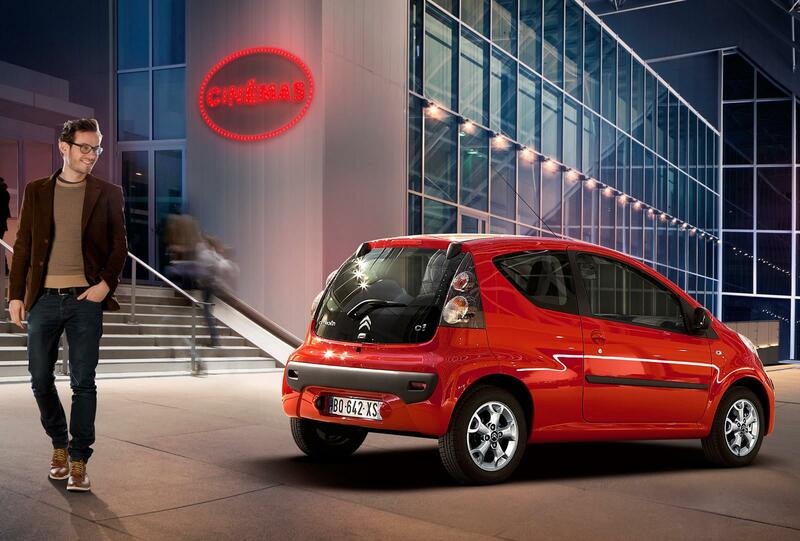 The general public will be able to view the new model from 12 – 22 January on Citroën’s stand in Hall 6. Final UK specifications and pricing details are still to be confirmed.